I am back after a long while with a post! We have been on an over-drive and busy after the roll-out of BricsCAD V19 and blogging has taken a serious back-seat. I start off the first blog of 2019 with a reproduction of blog post from the Bricsys blog. We present to you one of the most impressive and formidable case studies from a leading engineering company in Vienna, Austria. Steve Johnson from Australia interviewed the folks at Schrack Seconet and here is the interview for you to read. 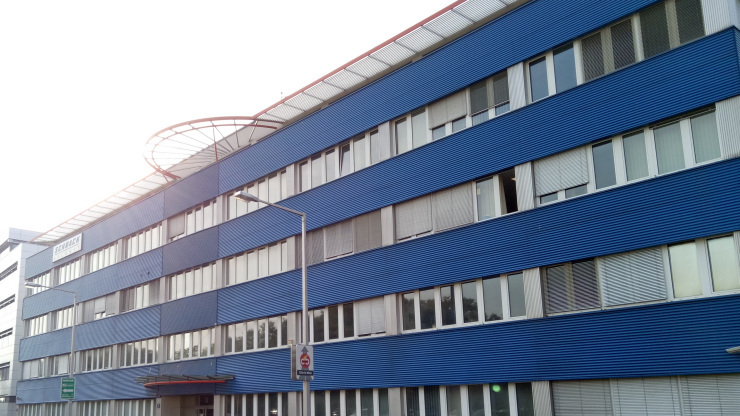 In a semi-industrial area of Vienna you will find the head office of an Austrian company called Schrack Seconet. The company occupies three large buildings that lie between elevator-maker Schindler and software-maker Microsoft. Our interest in this company also lies between electrical hardware and software, because Schrack Seconet uses BricsCAD software to design the fire alarm, security and communications systems with which it dominates the Austrian market. 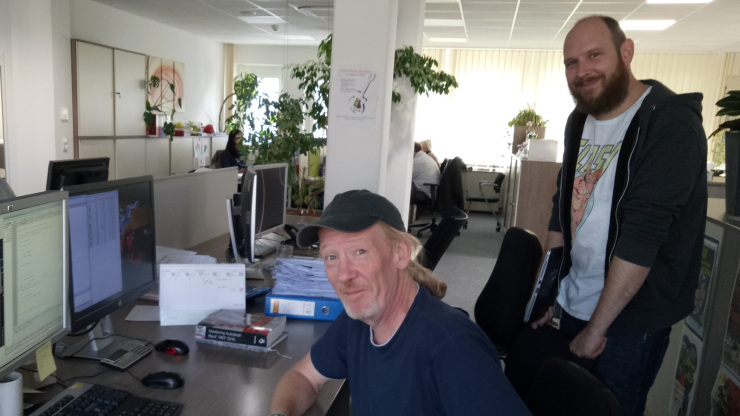 Just before attending the Bricsys 2018 conference in London, I traveled to Austria to interview CAD guy Martin Harrer and IT guy Germar Tischler. There’s a lot here to interest CAD Managers and others who are considering moving to the BricsCAD platform. This is a company with a decent number of users, distributed among multiple offices. It adds a substantial layer of LISP programming to the base CAD product in order to persuade it to perform sophisticated and specialized tasks. It regularly exchanges .dwg files with many other companies. If any of this sounds like your organization, read on. Martin, can you tell me a bit about the history of the use of BricsCAD at Schrack Seconet? Martin: We started evaluating BricsCAD in versions 7 and 8 and used BricsCAD in our Viennese office since V9. We deployed V10 all over Austria. We have seven offices around Austria and they are all using BricsCAD. You’ve been using BricsCAD for a long time; have you used every release as it has come along? Martin: Yes, except V13. Not because we’re superstitious, it just happened. Maybe I was subconsciously remembering Autodesk! But no, it just happened. It’s very common among AutoCAD®-using companies to skip a release or two releases. You’re not doing that with BricsCAD? Martin: No, we’re pretty consistent. Upgrading is not usually a big deal. Are you finding that the new releases are giving you value for money in terms of new features, performance, that sort of thing? Martin: Mostly. For example, BLADE was a very big improvement. Stability improvements of the new versions are good. It’s getting more and more stable. In the beginning (V7 and V8), things were sometimes a bit tricky, but due to good support (which I have to say is great – quote – Bricsys is great!) we could handle it. I was at workshops in those early days and we got laughed at for using BricsCAD. But they’re not laughing now. It’s an eye-opener for some guys in the industry. How many BricsCAD licenses do you have and what sort are they? Germar: 101 standalone licenses! They’re the Pro versions. Martin: Our users don’t need the Platinum version but they do need Pro because we need BRX for our C# .NET and Open DCL code. Is that number expanding or contracting? Germar: It’s always growing. The use cases expand over time. It’s not just the CAD drafters who use it. We have salespeople in the branch offices who use it to interface with clients, making minimal changes, that sort of thing. Martin: We don’t like it, but it happens! Somebody’s off sick or something, we allow it. This is interesting from an ease-of-use perspective. You have people who aren’t drafters using the software. How does that go with training? Do you have to train these people? Martin: Yes. Just some basic dos and don’ts. Also, they can call me for support. In the branch offices there are some who haven’t learned it – they just learned by doing – and they might have problems from time to time. There might be a plan they can’t open, so they call me, they send me the plan, I fix it and send it back to them. That’s part of my job. If you have someone who’s never used CAD before and they have to use it, how much training do they need? Martin: It depends on the person. Some people just pick it up by doing it, but they need to be shown the right way to do things using the special tools I’ve created. So you have about 100 users; tell me about it. How do they react to using BricsCAD? Do they accept using it? Martin: Yes. Firstly, because they have to! Second, because they don’t need any special training to use it. It’s pretty straightforward. If you can use AutoCAD®, the transition is not hard. You can use the ribbon if you want it (I don’t, because I’m old). The commands are basically the same. The logic in the program is the same. We’re working with .dwg. The Quad is something different in BricsCAD, and if somebody wants to use the Quad it’s their own decision. 99% of our new users worked with AutoCAD®. They don’t need any special training before they work on BricsCAD machines. If they have questions they ask me, but that’s it. You don’t have a day’s training or anything to convert them over? Martin: No, nothing. If they were doing some more sophisticated 3D stuff then maybe they might profit from for more training. For our stuff, there’s no need. We have new project managers come in every few months, but even for them it’s mostly just training on the job. Germar: That goes for the whole company. You mostly get schooled by your colleagues. I’ve never had the thing where somebody’s called me and said “I can’t use this thing” or “I don’t understand how to use this”. Never been the case, really. In the next part, I ask about the company’s custom environment and use of APIs before moving on to dynamic blocks and interchange of 3D components with Revit®.